The Mongols created the greatest landlocked empire known to history. It was an empire created and sustained by means of conquest. Initially an insignificant tribal leader, Genghis Khan gradually increased his power, overcoming one rival after another. After he had subjugated all tribes of Inner Asia, he struck southward into China and later attacked distant Khwariz in the Near East. Sübe’etei continued to make significant conquests after Genghis Khan died, conquering central China and leading a large force into the heart of Europe. Between them, Genghis Khan and Sube’etei directed more than 40 campaigns, fought more than 60 battles, and conquered all lands from Korea in the east to Hungary and Poland in the west. This book offers a detailed narrative of the military operations of these two leaders, based on early Mongolian, Chinese, Near Eastern, and European sources. Making full use of Chinese sourced not translated properly into any European language, the account offer details never before given in English works. Detailed maps showing the operations support the text. Many conventional wisdom views of the Mongols, such as their use of terror as a deliberate strategy, or their excellence at siege warfare, are shown to be incorrect. This is a major contribution to our knowledge of the Mongols and their way of warfare. "History is littered with great leaders leading great armies and conquering large swathes of the world - Attila the Hun, Alexander the Great, the Roman Empire... but none perhaps as staggering as that of Genghis Khan. I have never heard of Sube'etei, I'm ashamed to say, until now, in this excellent book bu Carl Fredrik Sverdrup. 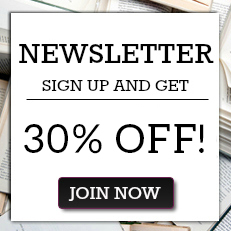 Asian history has never particularly appealed to me, but this is big history, and the author's style makes it compelling and readable." 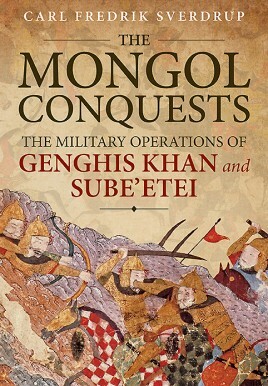 "The Mongol Conquests: The Military Operations of Genghis Khan and Sube'etei is a scholarly, detailed history of how the Mongols created the greatest landlocked empire in history, eventually spanning from Korea in the east to Hungary and Poland in the west. Focusing especially on the military operations of these two great generals, The Mongol Conquest draws upon Mongolian, Chinese, Near Eastern, and European sources to reconstruct these ancient campaigns that made world history. The Mongol Conquests also presents evidence to contradict popular beliefs about the Mongols, such as that they used terror as a deliberate strategy or possessed skill at siege warfare. The Mongol Conquests is highly recommended for both public and college library world history or military history shelves."